Jason Cohen has operated out of his home city of Pittsburgh for over a decade as a real estate professional. During that time, he founded the informal real estate advising group, Jason Cohen Pittsburgh, which offers feedback to real estate professionals who need advice on commercial or residential investments. Here, though, Jason provides advice to those outside the industry who intend to show their home to prospective buyers. 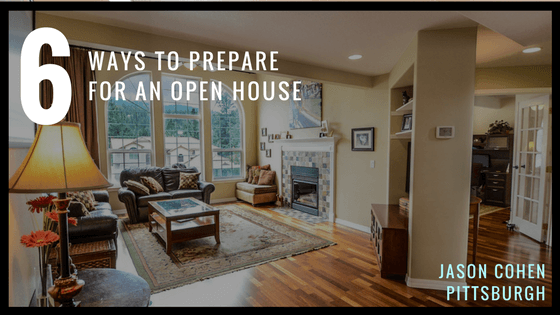 Holding an open house is a great way to get many potential buyers as very few people want to buy an unseen house. Buyers need to see what they are purchasing and will always compare their options. It is a contest between you and all other for-sale homes in the area and the potential buyers will ultimately choose their favorite candidate. To improve your chances of selling the house, prepare for the big day. If people can’t find their way to your house, you will be shooting yourself in the foot. In addition to putting a sign on the front lawn, put more signs at major intersections to direct people to the house. Make your signs visible and captivating to capture more buyers. Since most buyers look for imperfections, take time to fix these. Potential buyers will not overlook the imperfections. Repair broken windows, burned-out light bulbs and repaint the house. It is also important to take keen note of the latest equipment. It is important to always make a good first impression and having a clean house is one of the best ways to do this. Buyers will definitely notice if your house isn’t clean. Hire a cleaning service do a thorough job at clearing all the dirt. This includes the furniture, the window panes, ceiling fans, and floors. When potential buyers walk into your home, they should visualize their family living in that house, not yours. Remove the family photos and anything that depicts your political and religious views. Remove any pets or confine them during the open house. Buyers picture how they’ll use the space to put down their roots hence the need to make your home look neutral. Your belongings might make it impossible to envision that. This is to help the seller to spread the word on the house opening. Realtors like Jason Cohen in Pittsburgh can list your house on major real estate portals and with the current technology, most people look for homes via the internet. They assist in advertising the house to prospective buyers, giving details of the surrounding and the features in the house. The agency sometimes offers transport to the site and may offer professional advice on how to prepare for the house opening. There is no better way to build a sphere of influence than by bringing minds together. It creates a buzz between neighbors and their friends. It is a good idea to offer drinks and snacks to the buyers. This will give the visitors time to connect and interact with the agent as they take their time to go around the house. Buyers are becoming savvy to current market trends, so know how to get maximum people to see your home. This increases chances of selling quickly for a better price. For more content and real estate best practices, please see Jason Cohen’s blog at JasonCohenPittsburgh.com.